Questions about this trophy have been answered. A REVELATION has emerged in the mystery of a Tapping couple’s unidentified military trophy that dates back to the 1800s. Prior to Anzac Day, the Weekender ran a story about local residents Judith and Les de Bonde having come into possession of a navy trophy found during the cleaning of an abandoned Department of Housing property. The paper contacted Australian military historians in the hope of identifying the cup. While multiple sources were left scratching their heads at the historical piece, which is at least 138 years old, they predicted it was an award for a shooting competition. After the Weekender ran the story, ancestry sleuth Christina Hannan, of Madeley, contacted the paper having found a newspaper article online from 1880 she believed related to the trophy. It turned out Mrs Hannan was correct. And the location of the paper explained why the trophy had confused Australian historians – it was from New Zealand. 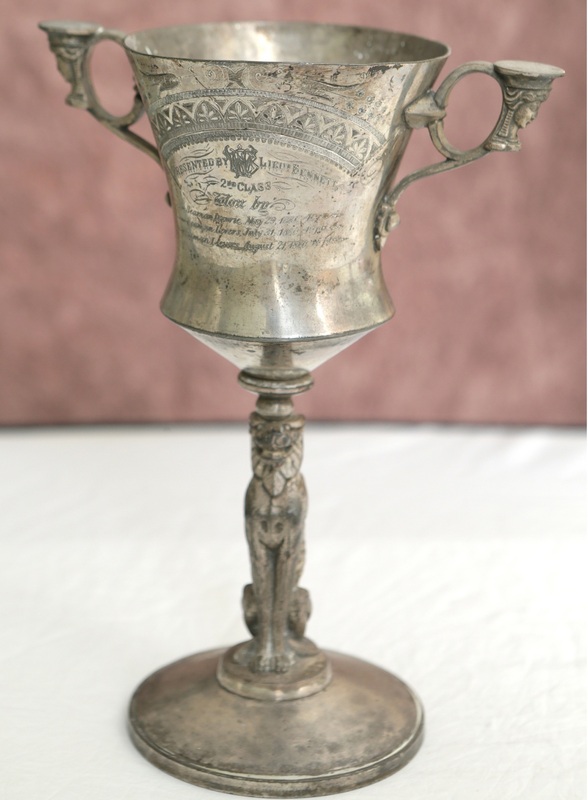 This corresponds with an inscription on the trophy, which refers to a Seaman Leevers winning it on August 21, 1880 – a Saturday. As to be expected, the Weekender had better luck with a New Zealand historian in explaining the trophy’s origins. Michael Wynd, a researcher at the National Museum of the Royal New Zealand Navy, predicted the cup was part of one of the country’s naval volunteer units. “In the 19th century there were naval volunteer units in existence throughout New Zealand under various titles which operated independently of each other,” he said. “From what I’ve seen, they often competed in shooting competitions as part of their training so this cup does certainly appear to have been awarded for such a competition. While Mr Wynd explained it was “not a rare trophy by any means in terms of military culture”, he said it “certainly is rare for the unit that issued it and an amazing thing to have survived for at least 130 years”. The trophy remains at the de Bondes’ residence in Tapping, with the couple hoping someone will recognise it as their lost possession.